"Yes, I know." Allianora said. "Yet in spite of your 'knowing' you went and did it anyway." "For goodness sake, why? Do you not think about what everyone says when you go gallivanting off, not considering the effect you have on others? On your father? On me?!?" 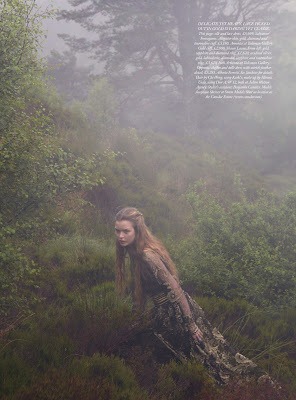 The priestess slammed her fist down on the table, her thinning hair resisting any attempts to constrain it in a braid. Allianora lowered her eyes. "I can't spend my entire adult life thinking about how my actions impact you..."
"Mother, you know-" A longsword blade poked through Allianora's mother's chest, then waved around. "Mother?!" "What?" She looked down "Oh hellfires" and her form melted away. Familia are a form of incorporeal monsters that tap into the viewers memories, and appear to the viewer as a beloved figure that will then proceed to berate them and their choices, draining the victim's very life force, until they are an unresponsive husk. Anyone attempting to attack a Familia must make a saving throw vs. spells, or suffer 1 point of temporary charisma damage as the creature causes the attacker to question their very self worth. Lost Charisma will be regained at a rate of 1 point every week. Familia are usually tied to a specific location or object, but they are not undead and can not be turned. Succeeding in an attack causes them to disperse for 1d4 months. I've already written my review of The Hobbit, but now I’ve now seen it in both 2-D 24fps and IMAX 3-D 48fps, and I have to say that as much as I’ve generally been unimpressed by 3-D (Avatar I’m looking at you) I thought it was put to good use by Peter Jackson. It wasn't used as a gimmick, but rather to make the world of Middle-Earth that much more real. Honestly, except for a few spots, I didn't even notice the 3-D effects, which as far as I can tell means that it was successful. The 48fps on the other hand I thought was fantastic! The opening of the movie, as old Bilbo walked through Bag End was so clear and sharp that I felt like I was walking along with him. 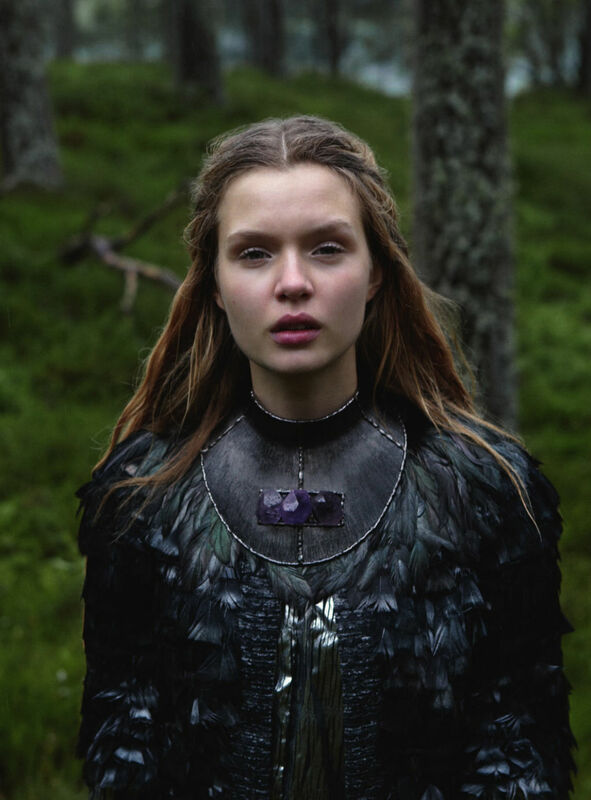 Some reviews have complained that it took away some of the magic of the movie. I felt the opposite. Being able to see the details made the whole thing, including the fantastical elements, more real. One element I didn't note in my initial review was that I really liked the slight redesign to the wargs. The initial effort in the Lord of the Rings movies to give them hyena elements didn't work for me as much as the more wolfish appearance here did. The armor of the Rivendale elves was pretty cool too. The deep red and gold worked really well, especially when seen in context with the armor from the second age, and the armor worn by the elves at Helms Deep. I wish we could have seen more of it as they hunted the warg riders. If you haven't seen it yet, and you have the option, I would highly recommend seeing it in IMAX 3-D, 48fps as Peter Jackson intended. I can't wait to see what special features show up on the DVD. The game that started it all for me, and the one that I still default to both here on my blog, and also in my brain when I'm thinking about D&D. This is what everyone was playing in High School, and what I ended up running lots of. The first time I played D&D in a basement, it was with this game. I played an elven archer using a kit from the Complete Book of Elves and we explored Baba Yagga's hut. This was the first non-D&D RPG I played. The deckplan of the Millennium Falcon sparked my interest, in spite of my preference for Star Trek. I never got to play it as much as I wanted, but when I did, it was always fun. Maybe it's cheating, but my gamer friends didn't really feel like these were different games, and whether we played at the table or LARPed it, there was always some blending. This was a D&D style LARP that I played in High School. My introduction to boffer weapons and armor making only ran once every month or two, but it was tons of fun. I spent hours and hours wrapping wire around a pole to make links that eventually made a chainmail vest for the game. I ran this way more than I ever got to play it, but it answered a lot of the issues I felt had cropped up in AD&D, as well as introduced a number of features that I still prefer in my games (ascending AC being the big one). For me LL has been the Rosetta Stone for playing via G+ hangouts. It isn't all that different from the start of the list, but it's available for free, and everyone has a copy. Plus it shows just how versatile the basic D&D system is, since both Starships and Spacemen (2nd edition) and Mutant Future are both built on the same framework, and mesh together really well. If you're reading this then the world did not end! At least, not our world. Recently however a pair of virtual worlds did come to an end: City of Heroes and Glitch. 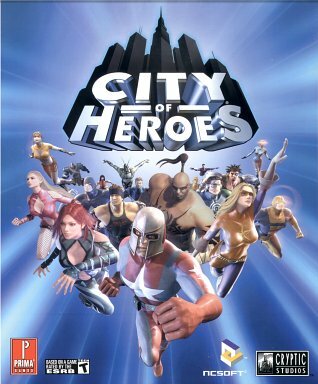 When it was anounced that City of Heroes was going to be closing its servers down, forever ending the game, it sparked a bit of introspection, thinking about campaigns that I've both played in and run, and how I've never been in one that ended, just ones that stopped, as if some great god hit the pause button. There was an attempt to keep the servers going, but in the end at midnight on 11/30 the power went off in Paragon City. Now, I never played City of Heroes, so for me its end was mostly a mildly interesting fact, rather than a heartfelt loss. For the players who turned out in large numbers at the end to thank the developers or to rage against the dying of the light, it was an emotional time. 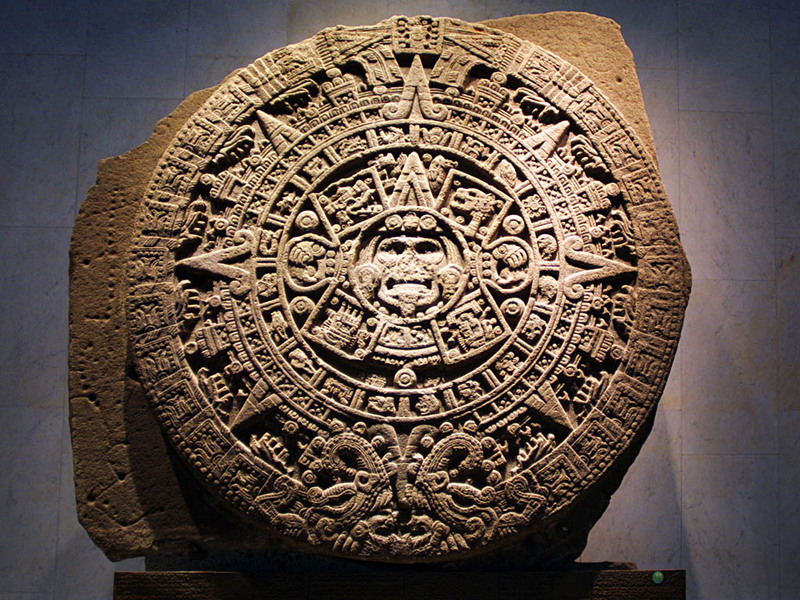 The players knew it was coming, and they had a couple of months to prepare, but how can you prepare for the end of the world? You can't take it with you, especially when it's virtual. I guess mostly it was just an emotional journey for them. The other world that came to an end was Glitch. Again, I never played it, but it was an online MMO, and a weird one, but one with a small loyal following. 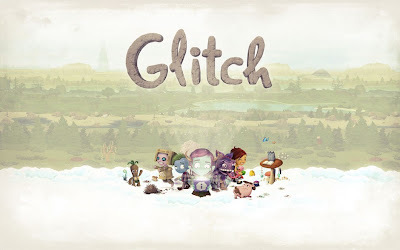 The makers of Glitch knew the end was coming, but they worked to make it so that their players could in fact take it with them, This seemed to ease the pain for the players, though there was still a lot of emotion. In the end there was much less angst about the end of the world. Someday, I think I'll run a campaign with an expiration date. I know it's been done, and I know nothing lasts forever, and I'm curious how players will react to it. Will they struggle to the bitter end, or will they accept their fate, and even help it along? Last night I went and saw The Hobbit: An Unexpected Journey. It was good, really really good! I was a little worried when I heard the they were making it into 3 movies, especially after how bloated King Kong was. Then, after people started seeing it, there was talk about it being overly long and boring, to the point where The Onion wrote a story about the 53 minute long scene of Bilbo packing. I didn't notice it being overly long, slow, or boring. It isn't the fast paced adventure/fairy tale story of the book. Rather, it's very much in line with the Lord of the Rings trilogy, both in the scenes Peter Jackson decided to add, and the things he glossed over. I was really pleased, and honestly would have been thrilled to see more. Getting to see a dwarven city, I mean I thought Ironforge from World of Warcraft was pretty impressive when I first saw it, and it's nothing as compared to Erebor! We saw the 2D, 24fps version. It was pretty clear on a few scenes that it was not a movie designed for 2D, and I'm looking forward to the 3D 48fps version that we'll be seeing tomorrow.I'll let you know my impressions on Monday. Overall I would give the Hobbit 8.5/10. If you liked the Lord of the Rings movies, then you'll like The Hobbit. If you loved extended versions, and watched all the extra features, you'll love The Hobbit. What's it like to be a dwarf? The one thing I didn’t expect was the fact that we were going to be bigger. When we get into costume, we’re all massive. So these dwarves are huge. I was a bigger version of myself. I was taller and wider than I am (obviously, because Pete shrinks you on the computer). I always thought that I would be small, but I was big. But it was very useful, and I didn’t realize it at the time, but in retrospect, it’s become clear that the growth in size has really helped to form this subconscious ego that I think dwarves have. Dwarves build huge underground complexes because dwarves are big! I'm so looking forward to seeing The Hobbit tonight! Quick poll - are you going to see it this weekend? While I'm not going to get to see it till tomorrow night, I wanted to make sure you knew your dwarves, before the Hobbit is released tonight at midnight. this might help. There's also a flowchart version. There are even more pictures on her blog. A while back Jeff posted 20 quick questions for your campaign setting. I never got around to answering them... until now! 1. Where can we go to buy standard equipment? The various shopping districts of Zandana can provide you with all that you desire.... if you have the coin for it. 2. Where can we go to get platemail custom fitted for this monster I just befriended? The Gnome smiths could probably do it. 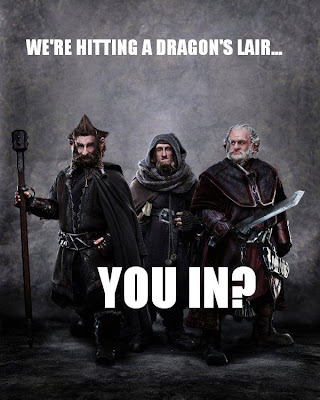 The dwarves definitely could, but getting them to do it would be an effort. Probably a quest of some sort. 3. Who is the mightiest wizard in the land? Greywolf the Stormrider is certainly the most well known in Zandana, and is head of the largest arcane academy in the city, but the warlock Celestia is whispered to have powers that equal Greywolf's. 4. Who is the greatest warrior in the land? Jarok is the current Champion of the Arena, and bearer of the Sash of the Mantacore. Rumor has it that there is a knife fighter by the name of Lizzie in the Downs whose skill is such that she can defeat a squad of plate armored foes. 5. Who is the richest person in the land? 6. Where can we go to get some magical healing? Almost all of the 1,000 temples across the city can provide basic healing. There are also apothecaries, herbalists, barbers, and other healers who charge less than the clerics, but aren’t always as effective. 7. What is the deal with my cleric's religion? It’s merely one of many, and the 1,000 temples are dedicated to a dizzying array of the 10,000 gods. Individuals and families worship a patron deity (or deities), but also pray and sacrifice to whatever entity seems most appropriate. The temples are your best bet, but there will be a cost, and it might not be gold. How do you feel about being indebted to a temple? Several competing societies and numerous independent practitioners all vie for magical dominance within and around the city. Throw a stone, and you might find an expert on goblin stone carving, or the weapon styles of the lowland gnolls. Finding the right expert will be the challenge. Meeting their price may also be a challenge. On the other hand, the more esoteric the knowledge, the more likely they’re willing to go on and on and on.... Of course not all are truly as skilled or knowledgeable as they claim. And here is a link to a shot by shot breakdown of the trailer from Io9. I really enjoyed the Star Trek reboot. While I don’t think it was really necessary, because the original series (at least the non-Spock's Brain type episodes) still holds up well. Yes, the special effects are very dated, even hokey, but the stories are classic, and the characters iconic. The proof of that is the fact that Chris Pine, Zachary Quinto, and Karl Urban took on Kirk, Spock, and Bones in their own ways, but still so recognizable as the characters initially portrayed by Shatner, Nimoy, and Kelley. My thoughts on the new movie trailer? Honestly? It's from JJ Abrams. He's a master of false information and misdirection. My guess is that a lot of what we see here is purposely cut together in a way that is unlike what the actual movie is about. Don't get me wrong, this is not going to be an example of an Inner Light type story! This will absolutely be a summer blockbuster style, just like the first one, and I'm perfectly happy for it to be that way. So for now, I'm just going to look forward to seeing the trailer on the big screen when I go see the Hobbit on Friday night. So what about you, RPG Bloggers? Why do you write about games? In what form does writing crop up in your campaigns? What’s your process, your stumbling blocks, your passion? How has writing helped you or your table? Or is writing more like a CR 8 Succubus whose torturous, siren song hurts so good and dominates your very being? It’s funny that this was November’s RPG Blog Carnival topic, since it’s the month I’ve written the least for a long time. Not writing, not posting, and having the words and thoughts and ideas stuck in my head has actually been a physical ache. So why do i write about an old pen and paper fantasy RPG? 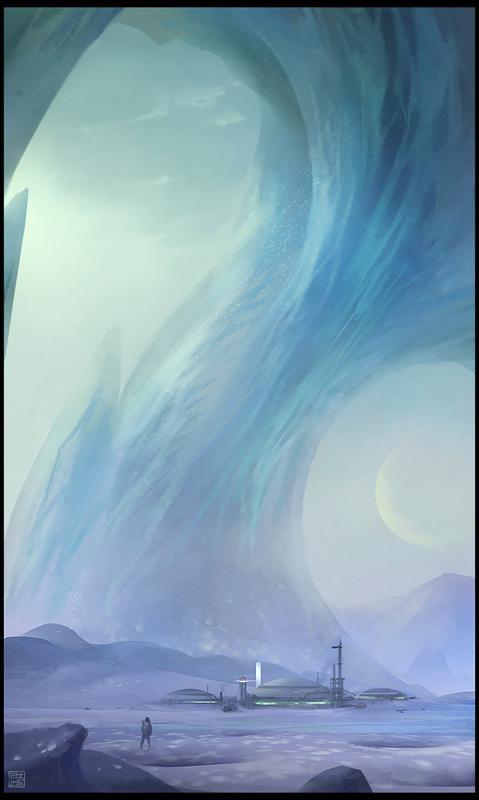 I’m sure nostalgia plays a part, but the real reason is because when my mind wanders it tends to drift around to fantasy and sci-fi. So what makes Dungeons and Dragons my default go to as opposed to Middle Earth, Narnia, Starfleet, or any of the zillions of other worlds found in books? D&D is a game, a sandbox, and it literally doesn’t exist without the involvement of players. While I can steal ideas from all of those other worlds that authors have created, I’m not limited by them. So maybe even more than writing is the creating. The monsters, places, magic items, characters, and everything else are all mine! I think that is why I write.